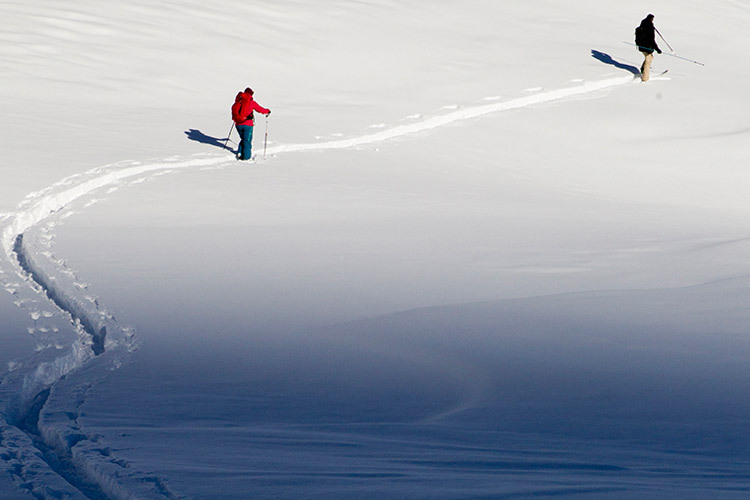 You cannot seem to go more than a day in a ski town now without hearing the word “backcountry”. It’s a word that fills me with excitement and also a healthy fear of the unknown. After living in Whistler for almost 3 winters and reaching higher levels with my snowboarding it’s a word that keeps coming up more and more frequently. 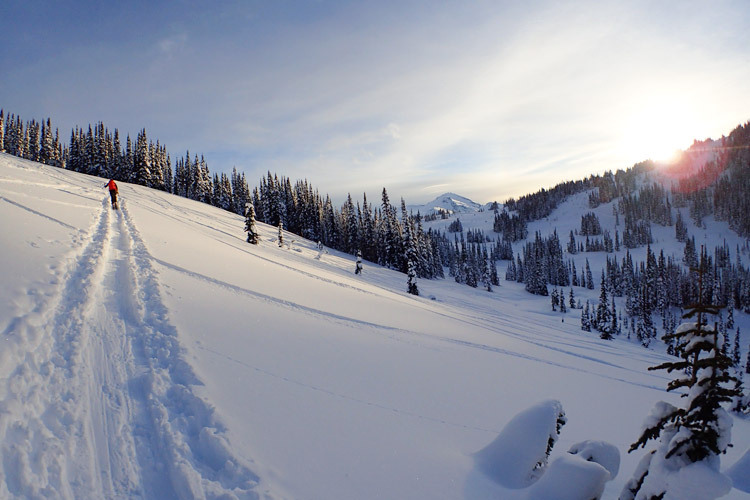 I have a lot of friends that regularly head out into the backcountry on skis, splitboards and snowmobiles and they are always talking about the pristine pow, the pillow lines, the majestic tree runs and open wilderness. It sounds like heaven and I’ve often been invited to go with them, but I’ve always politely declined. I come from the United Kingdom where we don’t get exposed to much snow or wilderness. Add to that the stories about people getting lost or injured in avalanches, and I’ve always considered backcountry trips too high a risk for me. Plus I’ve always been a little bit of a control freak and felt like I would be way out of my depth once I got beyond the avalanche-controlled slopes of the resort. Beacon, shovel, probe. Buying them is one thing, knowing how to use them in an emergency another. 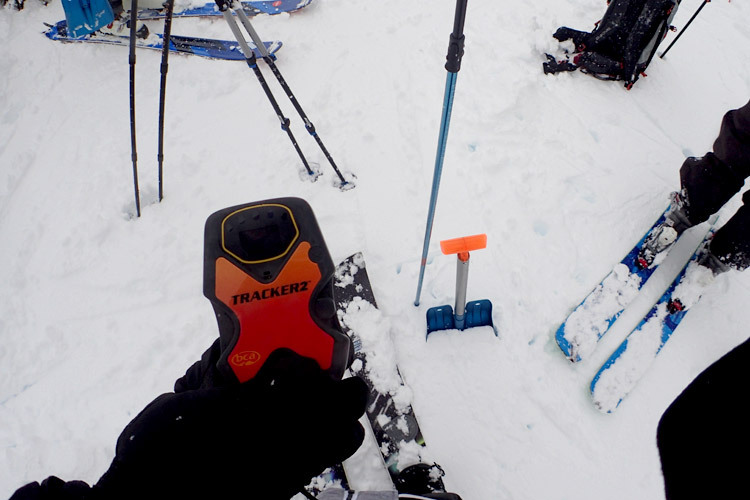 I knew what a transceiver was and I understood that you should take a probe and shovel out with you but that’s where my knowledge ended, meaning if I went into the backcountry with my friends I would be completely reliant on them for my own safety. 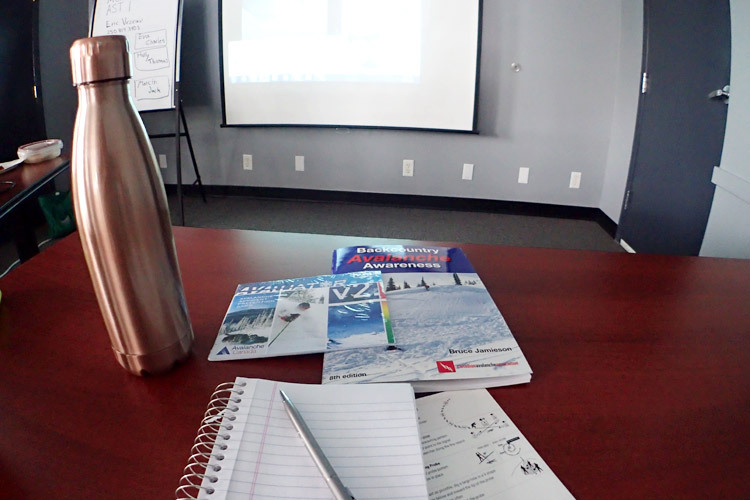 I decided to take matters into my own hands and booked myself on a two-day Avalanche Safety Course (AST-1) with Mountain Skills Academy & Adventures to get educated in backcountry safety. 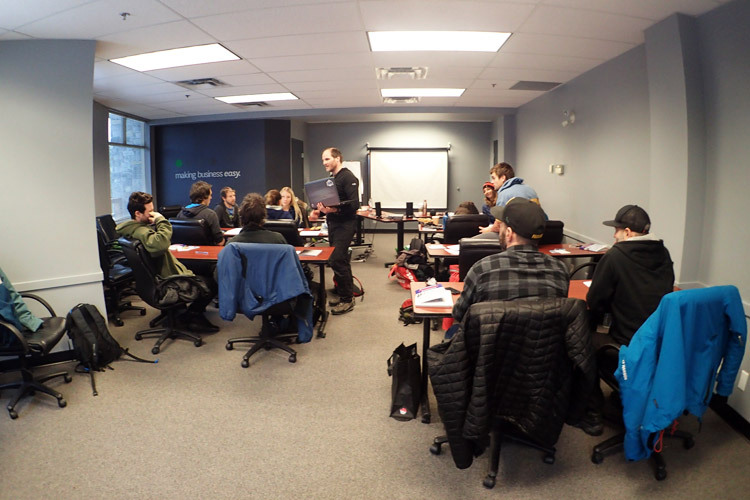 The course consisted of one day in the classroom in Whistler Village and one day in the backcountry putting what we’d learnt into practice. Back to school: The classrom with our instructor Eric. During the day we reviewed videos of avalanches, we discussed what could be the cause of these as well as reading case studies about other people’s experiences. We looked at images of terrain and assessed how they could be affected under different snow conditions and where the potential avalanche zones would be. We also started to look at the decision making we would do in the field – how we would proceed, what route we could take as well as looking at maps to plan journeys and the time these could take. When we got to the end of the day we had all been given a lot of information to digest and process. There were so many factors involved that I’d never even though about or considered before. Luckily we were all given take home material to keep and review so we didn’t have to rely on memory alone! We had arranged a time and place to meet in the morning and I had a sense of excitement and anticipation like a kid before Christmas Day. I wasn’t sure how much sleep I was going to get with all the butterflies in my stomach. Homework or life’s work? The take home materials. With the fundamentals now in our heads we were ready to head out with the guides, and that meant starting with pre-trip planning. 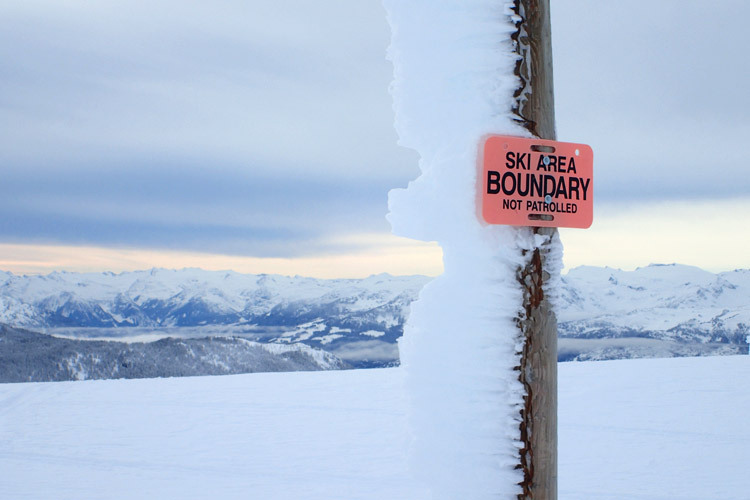 It’s been a snowy season in Whistler and just before the course the mountains had seen storms with lots of wet snow which meant the online reports showed the avalanche rating was “high” on the morning we went to go out. We decided to do an assessment with the group. Was it safe to go up? Did we need to change our route? Did everyone still feel comfortable going in the conditions? 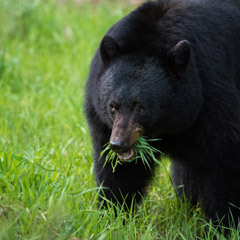 Once everyone understanding the caution we would need to proceed with we agreed as a group that we would go, with the understanding that we would assess and alter our plan as needed due to the high risk conditions. We went up Blackcomb Mountain heading for 7th Heaven where we geared up and got ready to skin out from the base of the chair. It was my first time ever using a splitboard or skins which I hired from Mountain Skills Academy & Adventures for the day as part of the course. The group was fantastic and showed me the right way to set up my gear. After a quick group discussion on our direction and route, we were off. Getting set up to skin out into Whistler’s backcountry from 7th Heaven. 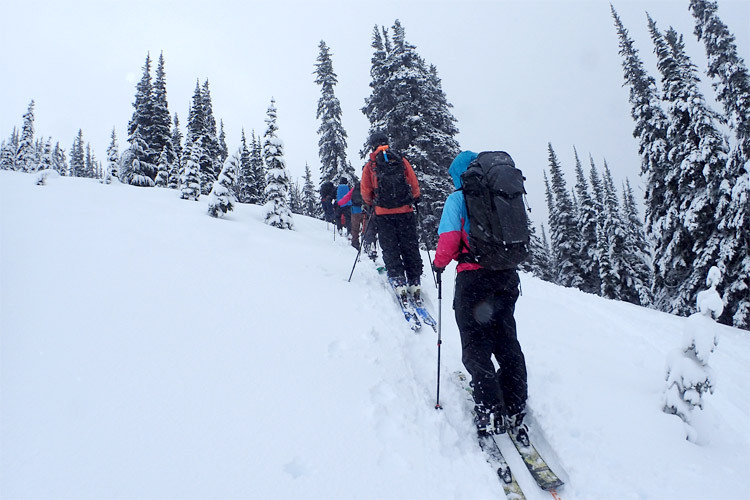 On the skin track – the group navigates gentle slopes on the high avalanche risk day. After an hour of touring we reached a safe location instruction on practical aspects of backcountry safety – search, probe and shovel skills. We learned more about our safety equipment and how to use it. We learned the most effective way to conduct a search if there was an avalanche and we started doing practice searches for buried people using beacons buried in the snow. After a quick spot of lunch, we continued further into the backcountry so we could do the snowpack tests we had learned about the day before in class. We assessed the snow stability and looked at how the snowpack was formed with the different layers. Instructor Tigger testing out the snowpack with burp and compression tests. The final task of the day was a group multiple search and rescue where we had to put our new skills to the test in a situation under pressure. Then it was back into the skin track to the resort for a final group session and debrief. In the warmth of Base II we discussed what we’d learnt from the day, how we performed on the exercises and went through anything that we felt we could have done differently. We all agreed that having the course split into two days was important – the difference between the classroom theory and practicing things in real life was essential for highlighting what we knew, and showing us what we thought we knew and where we had more learning to do. The group also talked about how comfortable we would feel about going into the backcountry now. Everyone was unanimous that we wanted to continue to explore, for myself personally I want to continue to learn, buy my own gear, head out with friends and hopefully work towards the next level of training which is Avalanche Skills Training 2 (AST-2). The course has made me feel more confident about slapping the skins. I feel comfortable that I know how to use my safety gear, read the snow and what factors to be aware of to make good choices and decisions. One thing that was very obvious was that knowledge is power, and you need to keep on learning and practising or you will lose it. I plan on going out with friends who have more experience, learning from them and practicing rescues just as much as choosing terrain – because you just never know. You can still go out when the conditions aren’t perfect if you make smart decisions, scale back your plan and your group agrees on the level of risk involved. 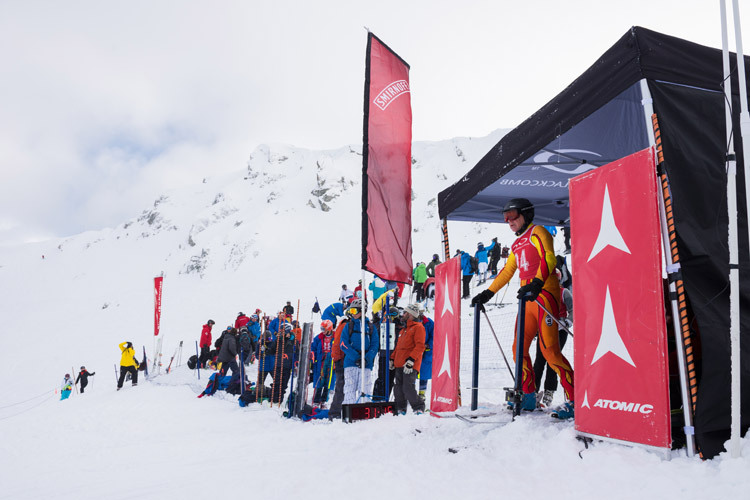 Why Choose Whistler for AST Courses? 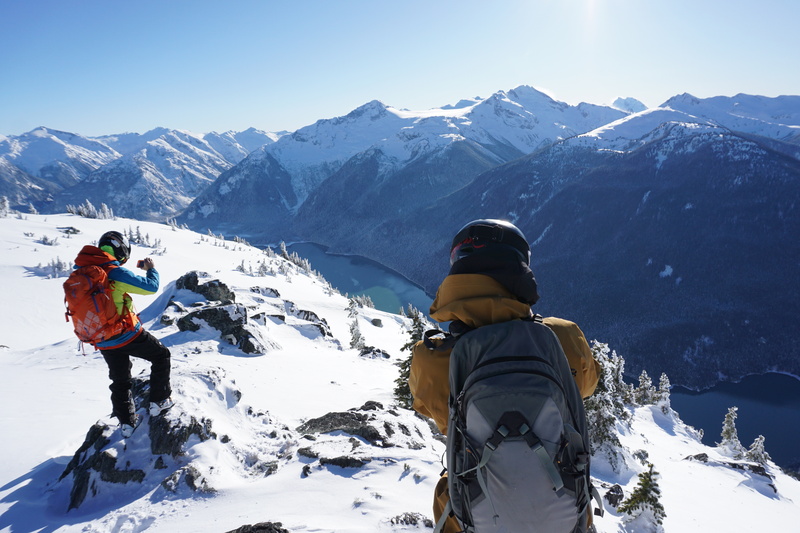 Whistler is a great place to do your AST-1 and AST-2 course with lots of operators like Mountain Skills Academy & Adventures offering the course. 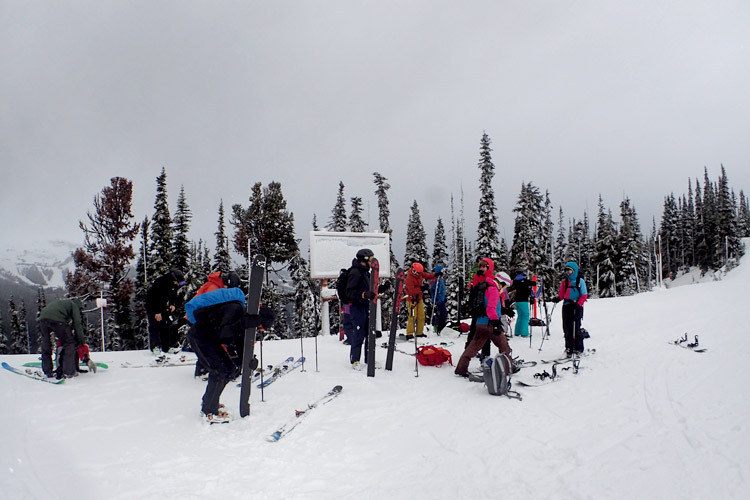 Thanks to the Whistler Blackcomb lift system it has extensive, easy and fast access to the backcountry so time in practice is maximised even when conditions are not optimal like the day we went out. 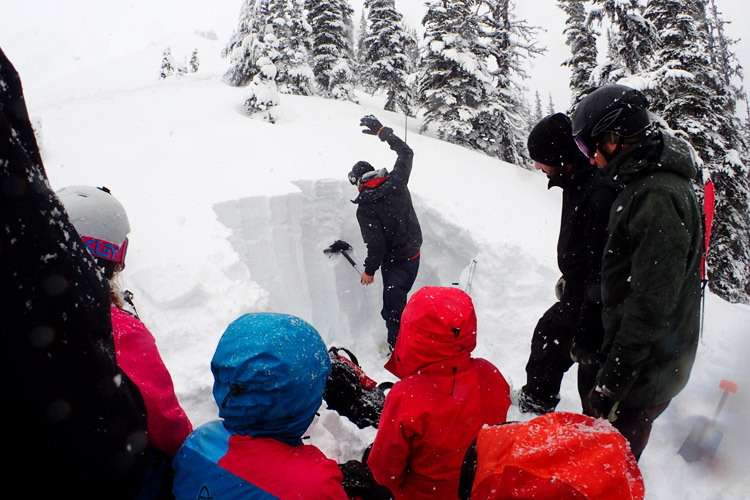 Another bonus is that the avalanche skills training centres have their own network; they communicate not just with each other but also with Whistler Blackcomb mountain safety to get a better understanding of risks and current conditions. That’s a lot of great knowledge that you can benefit from on your course that you might not get elsewhere. 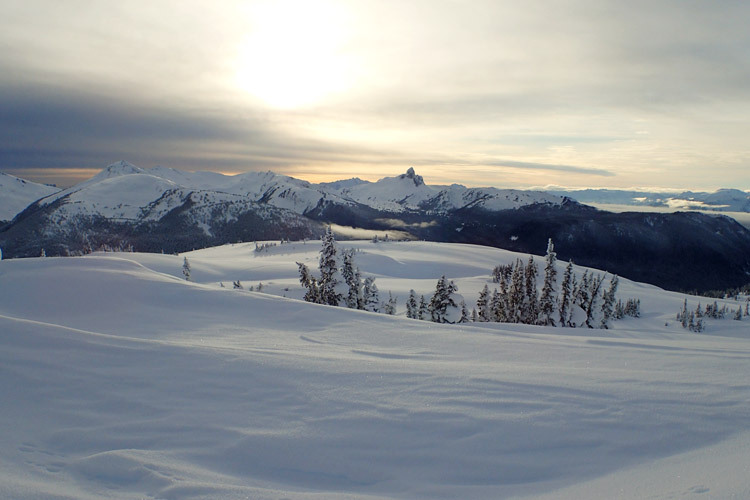 Views like this – another great reason to do your AST-1 course in Whistler.